Innovative announces that scholarship applications for the 2015 Albert A. Sheen Scholarships are available at various locations throughout the territory. The scholarships will be awarded to two Virgin Islands high school seniors who have already been accepted to a college or university to pursue a degree in one of the following disciplines: Accounting, Business Administration, Business Management, Engineering or related fields. 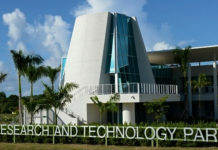 The scholarship is named in honor of the late attorney Albert A. Sheen, who served as the legal counsel for the Virgin Islands Telephone Corporation, which is now referred to as Innovative Telephone. Each student is awarded a one-time $10,000 scholarship to be used for tuition only. All completed applications are due at one of the Innovative offices or postmarked by Friday, May 1. Full instructions on the submittal process are included in the application packet. 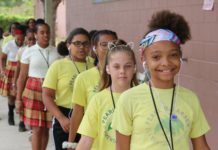 Innovative Telephone will also be donating $20,000 for four students — two per district — to receive a $5,000 scholarship to the University of the Virgin Islands. The scholarships will be administered by UVI to be used for tuition, books and materials. High school students who have been admitted to UVI must complete their financial aid applications and submit them to UVI’s financial aid office to be eligible for the scholarship. Interested students should contact UVI at 693-1160 or visit UVI’s Web site at www.uvi.edu to download the application. The deadline for the Innovative Telephone-UVI Scholarship is Monday, March 2.